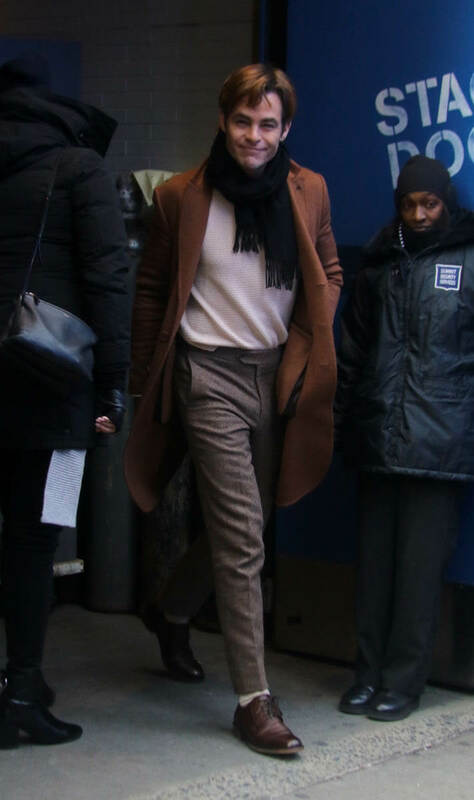 We kicked off the site yesterday with photos of Chris Pine heading to New York for promotional appearances for I Am the Night. 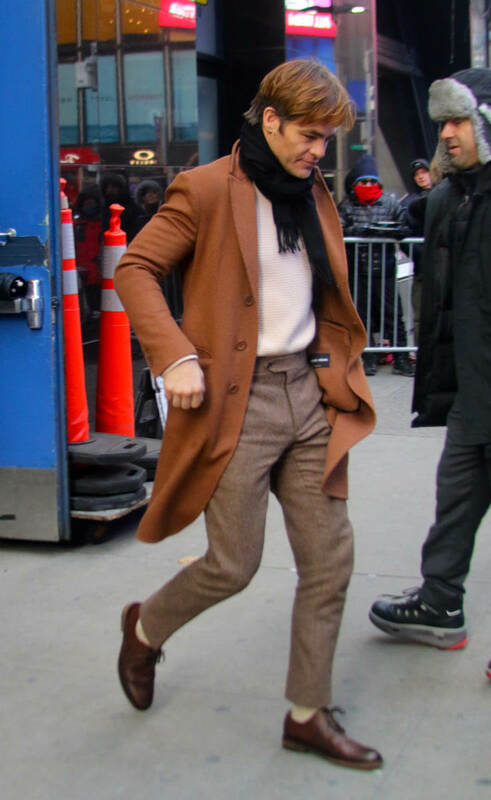 Here he is yesterday on Good Morning America. 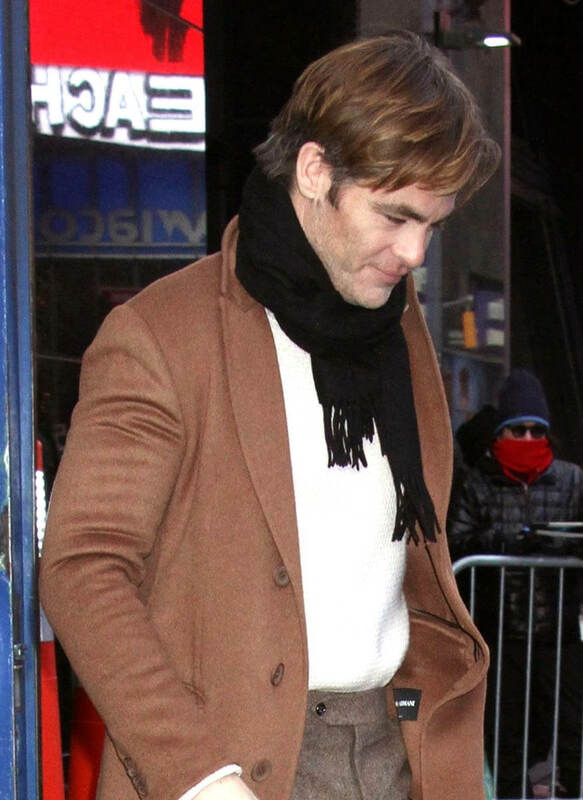 He decided on an oatmeal clingy-ish sweater tucked into brown pants. The sweater is textured but it reads more casual, to me at least, than it might in person. Like I first I thought he was wearing a henley. I do enjoy the way he walks out though. He seems super into being at the desk. 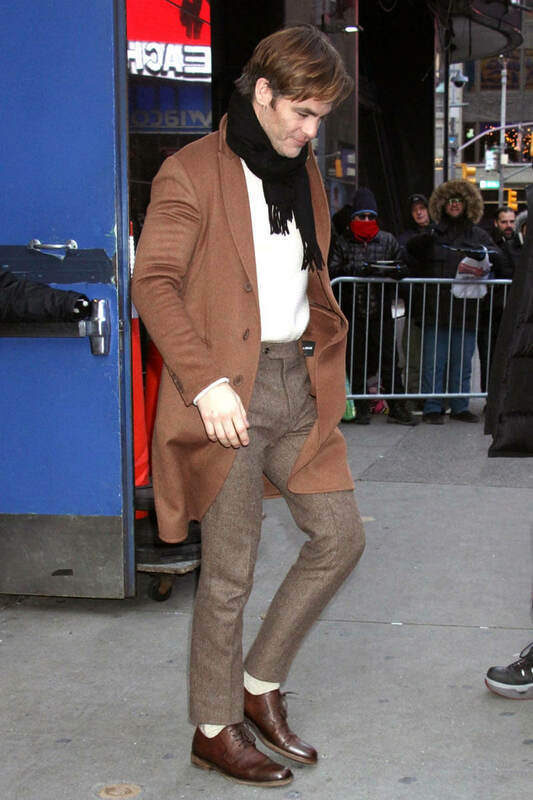 If Chris Pine is your Best Chris, well, you’ve probably watched this already. If you were busy yesterday, here you go. I forgot how grumbly his voice is. 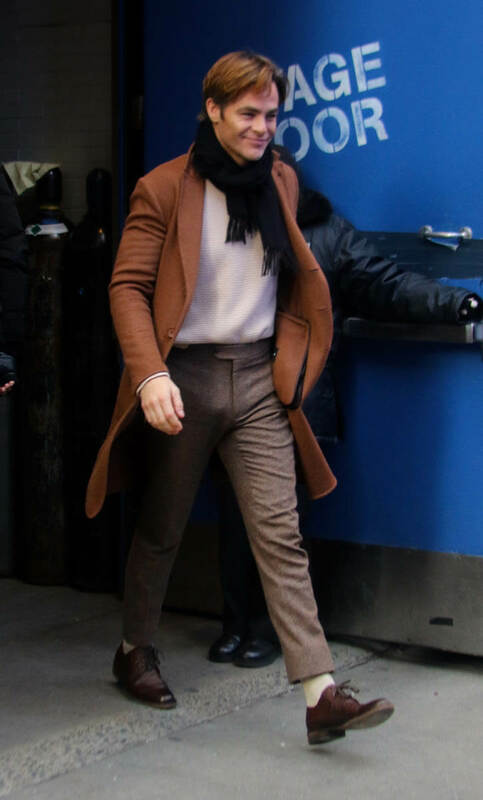 If he played Jackson Maine he wouldn’t have to go that far down. "I thought of what this next movie should be in the middle of making the first movie, so it wasn't a solution to 'Oh, that worked out, let's try to jam [Pine] in there.' It's all incredibly important to the story. It makes perfect sense, that's all I can tell you." I’m more excited about the 80s setting than Chris Pine. Especially how she describes it. "I really felt like the 1980s was mankind at their most extreme and at their best. It was when we could do anything we wanted and we had no idea of the price yet. So we have really committed to that version of the 80s. It's not a bunch of jokes. It's actually the most kind of aspirational and elegant version of the 80s in many places. And then you kind of throw it away and get used to it. I enjoyed rolling around in remembering what it was like when we had no idea it was going to stop." The key here, for me, is “we had no idea of the price yet”. I want to see what that means. Can Wonder Woman foresee how excess would exacerbate the unaddressed issues of the time and take on a cost, a couple of decades later, that is becoming more and more tragic every day? Gah. I just remembered Wonder Woman 1984 doesn’t open until 2020. Where will we even be by then?